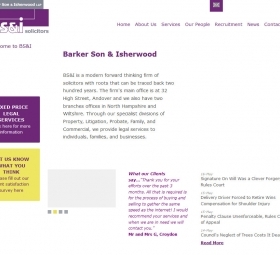 Webbed Feet have redesigned Barker Son & Isherwood's website from the ground-up. 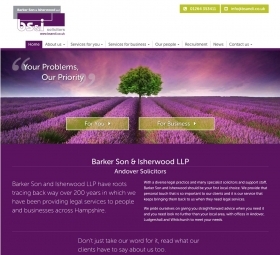 BS&I is a legal practice with many specialist solicitors based in Andover, Wiltshire. 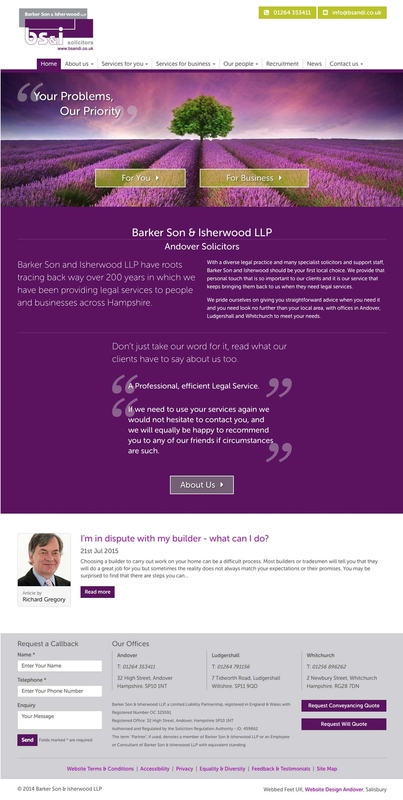 BS&I's previous website used a design that was looking dated and contained outdated information. The site was not easy to update, and as such had been somewhat neglected. Combine that with the difficult to use navigation, and the result was a site that wasn’t as effective as it could have been. The first issue we addressed was the design. 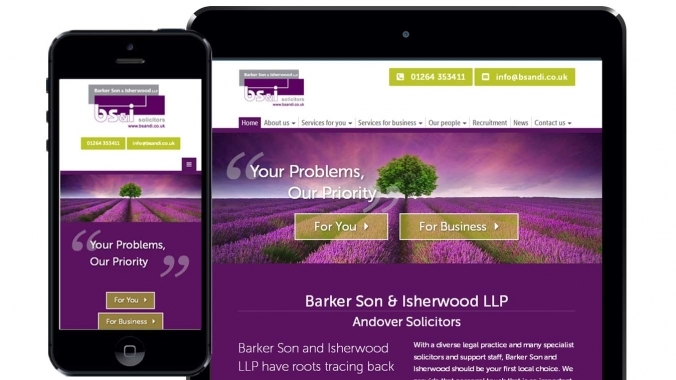 To bring the website up-to-date with the latest design trends, we created a new layout and implemented a modern style that utilised the BS&I brand colours. In addition to this, we paid special attention to the typography to ensure that it was clear, & easy to read – very important on a text-heavy website. 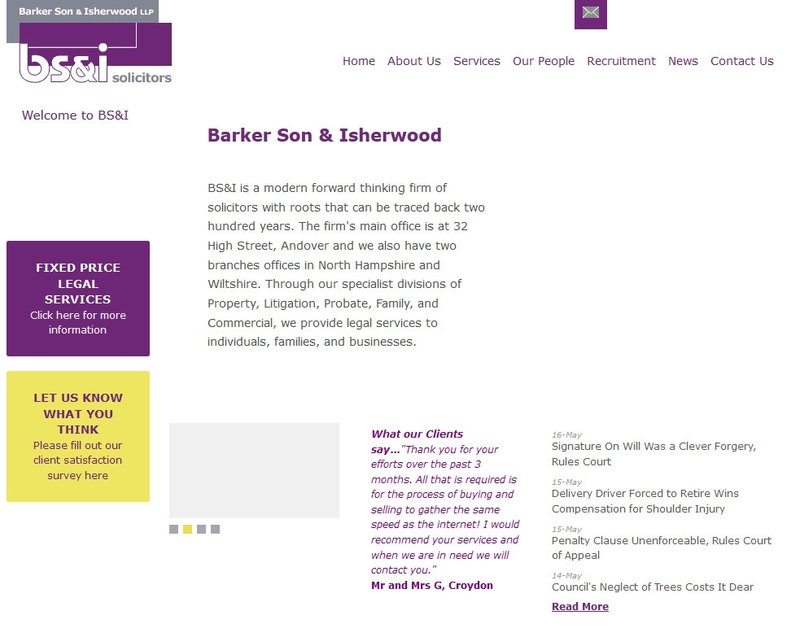 This new web design better reflects the high quality of service offered by the BS&I staff. 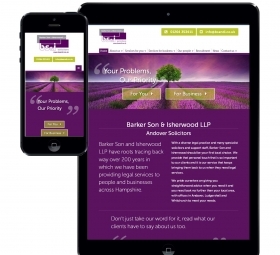 The website's design is also responsive & mobile-friendly. 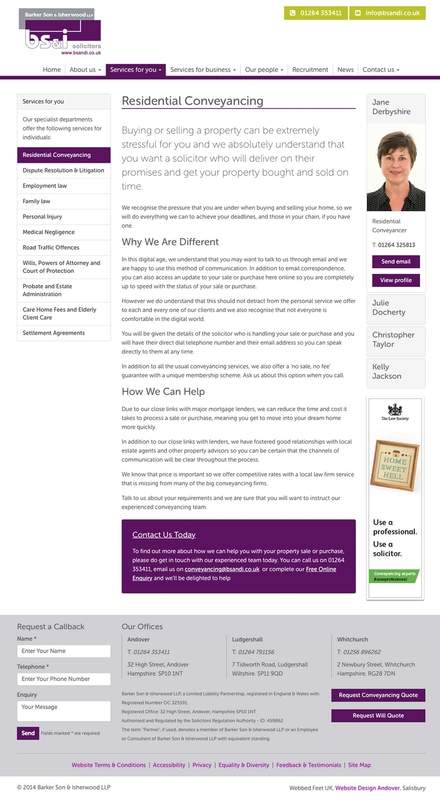 The navigation has been evolved from the previous site to better assist the audience to find the information they need. Right on the home-page we divide the audience in two, (services for business & services for the public) and encourage them to visit sections of the website relevant to them. Each of the service pages has one or more profiles of the people to contact for more information giving the site a personal touch. This helps make them more friendly and approachable, it has lowered the number of phone-calls to the wrong person. 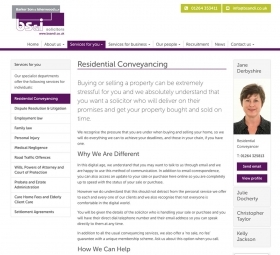 We implemented a customised version of our in-house built content management system. This new website allows the BS&I staff to easily update pages, reducing the barriers that kept them from keeping the information on the site current. We implemented our easy-to-use news systemThe previous site would pull news articles from a third-party service. This was an issue as these articles were also used by many other legal firms this caused duplicate content issues with search engines and actually worked against them. News articles are now hand-written by staff and added to the site – this not only a provides more personal touch, but search engines also love the regular, unique content. 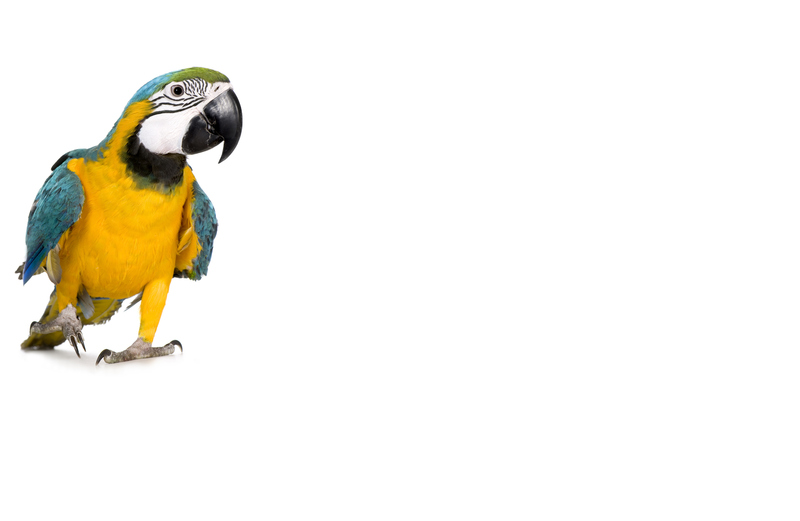 If you'd like to hear more about our CMS, or are looking to a bespoke website for your solicitors or legal firm then contact Webbed Feet.